Raised white lettering on sidewall. 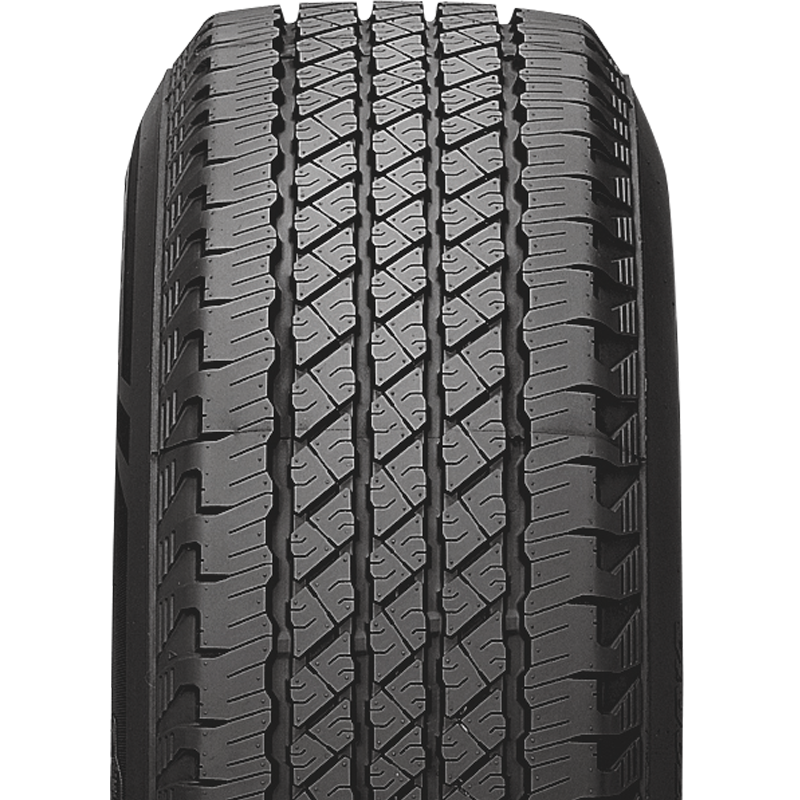 The Roadian HT has 4 straight wide grooves which provide excellent drainage and anti-hydroplaning performance. With 5 random pitch variation to reduce pattern noise and shoulder blocks that provide precise handling and progressive cornering, the Roadian HT is ideal for highway driving.